This year we are focusing on both pre-VCE and VCE Englishes, exploring ways of developing over time the skills that students need for the final years. This year we are focusing on both pre-VCE and VCE Englishes, exploring ways of developing over time the skills that students need for the final years. There are subject-specific sessions for teachers of EAL, English Language, Literature, and English. There are sessions that focus on improving students’ writing, drawing on the skills described in the Language Strand of the Victorian Curriculum. Topics include: enriching students' vocabulary; moving past formulaic writing and building responses that go beyond TEEL-type structures; and helping students identify and explain writing that is more (or less) formal so that they will be able to use this range of language structures and features with greater confidence. As usual, a scrumptious morning tea and lunch will be provided. In this session I will explore ways of assisting students in Junior English to extract ideas from the set texts. I will focus on helping students frame concepts and ideas as thematic topic sentences and abstract statements that will deepen their text response essays. We will engage in some vocabulary building exercises including syntax, the grammar of formal English and the use of quotes. These approaches are designed to help students become more conscious writers who keep the reader in mind while completing tasks that are central to senior English studies. Jason Jewell [BA (Hons. ), Dip. Ed., MA (Appl. Ling)] has just resigned from being the Manager of English at McKinnon Secondary College and taught there for the past 20 years. He teaches, and has written textbooks and study materials for, VCE Units 1-4 English, EAL and Literature, and regularly lectures at VATE Student Revision Days as well as at universities and conferences. He has a passion for social justice and a love of art and literature, especially from the twentieth century. He travels widely and spends much time with family and friends. Expanding student vocabulary can be fun, and knowing how words are created and modified empowers students in their writing. The Language Strand in the Victorian curriculum requires students to be familiar with many aspects of grammar, including: word classes and word families: nouns, verbs, adjectives and adverbs; Latin and Greek prefixes and suffixes; the influence of Anglo Saxon and other languages; and the importance of choosing words judiciously to enhance students’ own writing. We will explore all of these aspects during this session. Kate Burridge is Professor of Linguistics in the School of Languages, Literature, Cultures and Linguistics (Monash University) and a fellow of the Australian Academy of the Humanities. She is a regular presenter of language segments on radio and has been a panelist on ABC TV’s Can We Help. Her publications record is vast and includes Living Lingo and Love the Lingo, the go-to text books for VCE English Language. Her main areas of research are: grammatical change in Germanic languages, the Pennsylvania German spoken by Amish / Mennonite communities in North America, the notion of linguistic taboo and the structure and history of English. Teaching the year 12 course this year allowed me to understand more about how to approach year 11 and what preparation students need to help them succeed with units 3 and 4. How do we scaffold essay writing to prepare our students for both parts of the Literature exam? How do we build students’ confidence in using a critical lens to help inform their interpretation of texts? In this session I’ll explore some of the approaches we’ve built in at year 11. I’ll give examples of work we’ve done on year 11 and 12 texts and there will be time to share experience and ideas. Helen Bradwell teaches VCE Literature, English and English Language at Suzanne Cory High School in Werribee. She was a Literature teacher for many years in England before moving to Australia and has taught VCE Literature at years 11 and 12. In Units 1 and 2, English Language gives opportunities for students not only to learn about linguistics, but to act as linguists. At Northcote High School, in Unit 1, two of our assessments have incorporated student linguistic inquiries, in which students investigate the differences between spoken and written language, and the stages of child language acquisition. The session will describe the current Unit 1 tasks and how we scaffold and assess them, but also consider what changes we might need to make now that our school is in the process of introducing a shared inquiry model. Prue Morris has worked at Northcote High School since 2002. 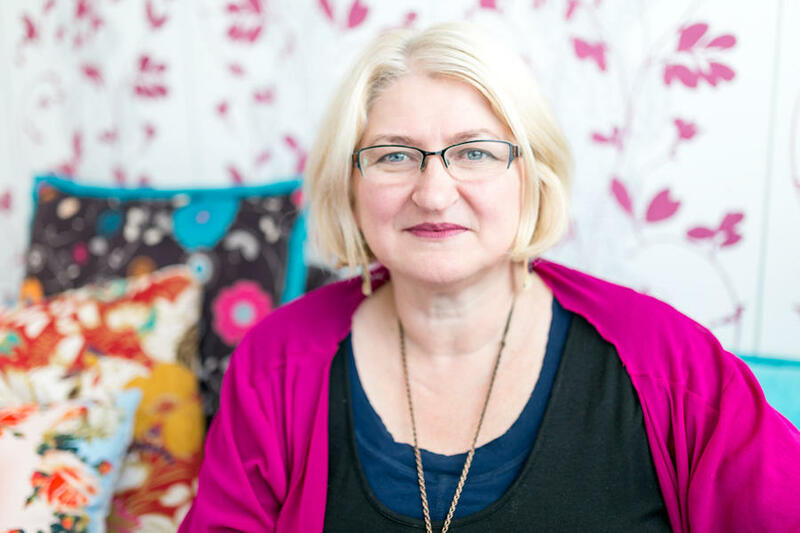 Originally an EAL teacher, she first discovered the joys of linguistics studying a Masters of Applied Linguistics at University of Melbourne in the 1990s. In 2006, she used this experience to design and introduce the VCE English Language course at Northcote High School and has taught Units 1-4 ever since. She is currently a Leading Teacher in the Teaching and Learning Team at Northcote. What features in a text make it cohesive? Text structure and organisation is a sub-strand of the Language strand in the Victorian English Curriculum. Some students plan responses on the basis of topic sentences. Some use structures such as the ‘linking sentence’ in the TEEL structure (topic sentences, example, explanation, link) to join these disparate paragraphs together. This session will explore strategies to show students different language features that lend cohesiveness to their writing beyond the explicit connection of a ‘linking sentence’. Dr. Isabelle Burke teaches Linguistics at Monash University. She completed her BA (Hons) in the Dean’s Scholars program at Monash University in 2013, obtaining the University Medal. Her research in Australian English syntax has been published in The Australian Journal of Linguistics. Her interests include conversational syntax, negation, relative clauses, and waiting for the next series of Game of Thrones. Tortoiseshell cats are also a passion! In this session we will present information about an intensive program that is designed to introduce students to the requirements and expectations for VCE EAL. It fosters the development of skills and understandings that underpin successful performance in this subject, which is crucial to the students' acceptance into tertiary courses in Australia. The course is ideal for schools wishing to provide intensive skills and language development for students prior to commencing VCE studies. The components of this intensive program integrate the four language modes and are mapped against the outcomes for VCE EAL School Assessed Coursework, including text study, listening skills, and the analysis of argument and persuasive language. Janny McCurry has taught English 7 – 10 and VCE English/EAL, English Language and Literature. She has been an active member of the Victorian English teaching community for many years. She is a partner in BooBook Education. Her recent experience includes developing curriculum for off-shore schools offering VCE to local students, as well as mentoring teachers working in overseas schools to deliver VCE EAL. This workshop will present some strategies I have used for many years to free my students' thoughts while approaching the often-feared passage analysis task on the Literature exam. Participants will be presented with practical and interesting activities that help students develop strategies to confront passages from set texts. which can be implemented these into their classrooms and build their own and their students' confidence in this skill. I will be using passages from current Year 12 Literature texts and from texts I use when introducing the skills involved in passage analysis in Units 1 and 2 Literature. People have been arguing with each other over language for as long as they’ve been using language… and Australian English is no exception. In this talk, I present a three-week period in 1894 in which the Argus ‘Letters to the Editor’ hosted a heated debate over ‘young Victoria’s pronunciation’. Over 120 authors weighed in – often angrily – over exactly who it is in Victoria that gets their vowels wrong. Studying these letters can give us insight not only into what Australian English may have sounded like at the time, but also into the social dimensions that speakers associated with variation in Australian English. 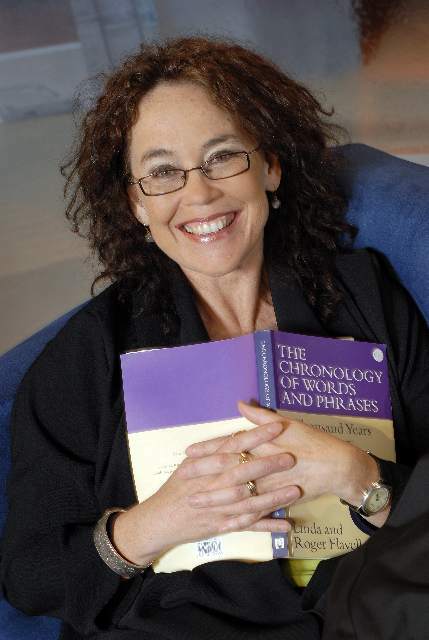 Lee Murray is a sociolinguist at Monash University, specialising in variation in Australian English and the social meanings that speakers attach to it. Along with teaching linguistics to recent VCE graduates, she teaches academic writing and communication as an academic skills adviser at Monash. She is passionate about linguistics communication and has recently presented at the Australian Skeptics National Convention on the science behind language-based discrimination. Lee has a love-hate relationship with the comment sections under language-related Facebook posts. ‘Argument and Language’ task per the Study Design and the end of year examination. Participants will be looking at sample ‘Argument and Language’ pieces to home in on how these samples structure their arguments, how they use persuasive language to support their arguments, and how they position the audience they are catering for. Phrasing of descriptor-based statements and their use will also be covered in the session. Anthony Politini is Head of English at Aitken College and has taught English and Literature over a fifteen-year period. During this time, he has also taught Media and been involved in assessing English, presenting teacher and student lectures and focussed on creating a curriculum that allows student skills to develop and grow. In the VCE, his interest is in how to allow students to understand the nature of a task and to respond to it, tailoring skills and confidence throughout this journey. For the past two years Listening to Texts has been part of the VCE EAL examination and this has put a spotlight on how we teach listening skills in our EAL classroom. This session will explore how we can improve our students’ listening comprehension in Years 11 & 12 by teaching them active listening strategies, providing diverse tasks covering a wide range of texts and topics, as well as the need to find time to practice these skills regularly. I will also analyse different Listening Tasks in order to provide practical help and discuss ideas how to respond to different types of questions. Good listening comprehension is just as important as reading and writing, which has been the main focus in our classrooms for many years, and should be part of holistic teaching practice. Kulliki Montonen has been involved in teaching VCE English and EAL in different schools in Melbourne for more than a decade, and her interest in listening comprehension goes back to teaching Monash University Foundation Year at Taylors College (Melbourne), which had Listening Tasks as one of its assessment tasks. She has since researched how listening skills are taught and assessed in different countries and observed English classes in Estonia during her visit there in 2016. She has stayed in contact with her overseas colleagues to exchange ideas and experiences while working closely with teachers in Melbourne to create listening tasks that are accessible and that cater for different learners. We’ve all read those perfect 20 responses in the examiner’s reports and said, “Wow! Those kids are amazing! They really got it.” But what about those students who love Literature, but aren’t “naturals” at it? How do we get strong responses from students who haven’t “got it” right away? How do we get the best out of students whose first language might not be English? This session looks at teaching Literature students who like the subject but are struggling with the skills or concepts. It provides practical skills, strategies and activities for teachers of both 11 and 12. Elizabeth Psaila has taught English, Humanities, and Literature at a range of Catholic, public, and independent schools in Victoria. She has a Masters of Teaching from the University of Melbourne and is currently the English Learning Leader at Kolbe Catholic College, a coeducational Catholic school in Melbourne’s north. Elizabeth teaches VCE English and Literature at Kolbe, and she was the first VCE Literature teacher at the school, writing the course from scratch and teaching it to students with a broad range of skills and needs. Sometimes students ‘write the way they speak’. However, the differences between spoken and written language can be tricky to define. This becomes even more challenging when teaching students who regularly use electronic communication mediums such as instant messaging, where language is simultaneously written and casual/informal. This session explores strategies for both naming and teaching the linguistic differences between spoken language and written language, while taking into account the ways in which students most often communicate with each other. It then considers the ways in which students can use this new knowledge to develop effectiveness in their academic writing. encouraging independent and collaborative learning. Greta Caruso teaches English Language, English, Literature and EAL and is currently working at Strathmore College. She has an interest in innovation in education and is working on the connection between listening and reading comprehension. She has a range of publications including English: Listening and speaking Years 7-10, EAL Listening Tasks, LingoPhat and Lingofile published by BooBook Education. She has worked in teacher education and is currently a member of the Course Advisory Committee for Torrens University. In this session, I will present strategies I often use in class to help students prepare for Section C in the final VCE EAL examination. This includes how they might structure the response when presented with the task of analysing argument and language in different text types and with varied combinations of texts on the external paper. We will discuss how to facilitate vocabulary building and assist students to vary sentence structure so that their writing becomes more fluent and less formulaic. Students sometimes struggle with the style of writing that is required in the Close Analysis section of the Literature course. This session will focus on how a teacher might prepare their class across the year for the finely balanced response required in a close analysis of literary passages. This includes practical strategies that develop an ability to both engage with the dominant concerns and language of the texts and construct a response that enables students to share their own views on a text’s meaning. We will explore model answers and analyse aspects of the 2018 Literature Exam report. Ann Sanciolo is the former Head of English at Korowa Anglican Girls’ School. She has had extensive experience in state, Catholic and independent schools and has taught VCE English and Literature for a considerable length of time. Ann has held various positions of responsibility and worked in administrative teams. Her real passion, however, remains in the Literature classroom, where she enjoys the rich exchange of ideas, close attention to language and imagery, and exploration of the challenges and possibilities of being human. Why do dogs and cats sound different on the internet? How would you form the past tense for the new verb yeet? And why would the shape of the English negator land somebody in prison? This session brings together a number of engaging examples to introduce your students to the joys of morphology and syntax, and how they change across time.